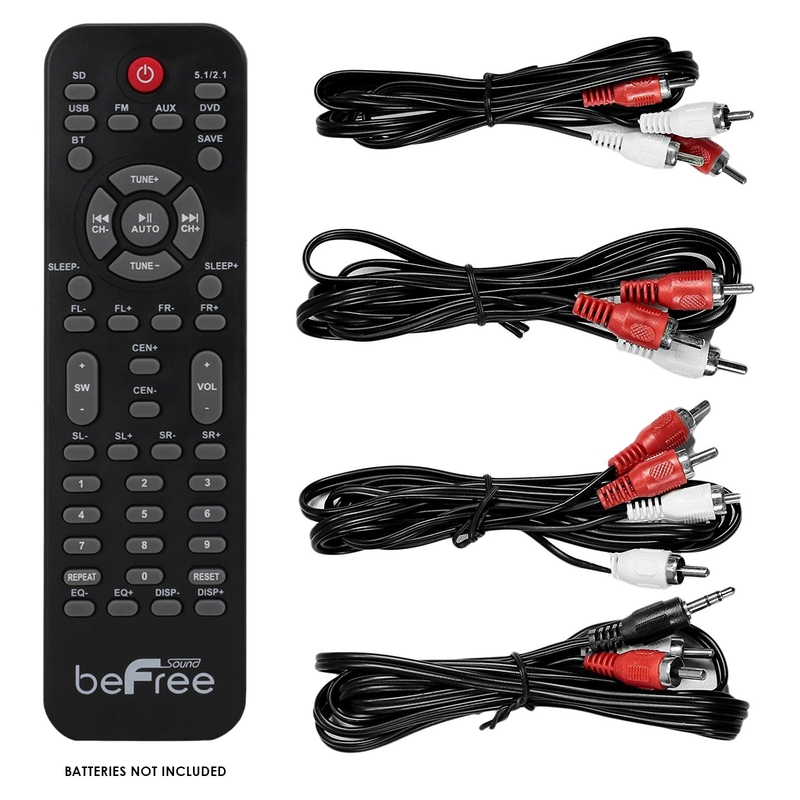 This 6 piece, 75 watt system includes one powered sub-woofer and five satellite speakers as well as all the necessary cables and instructions needed for simple integration into any multimedia configuration. 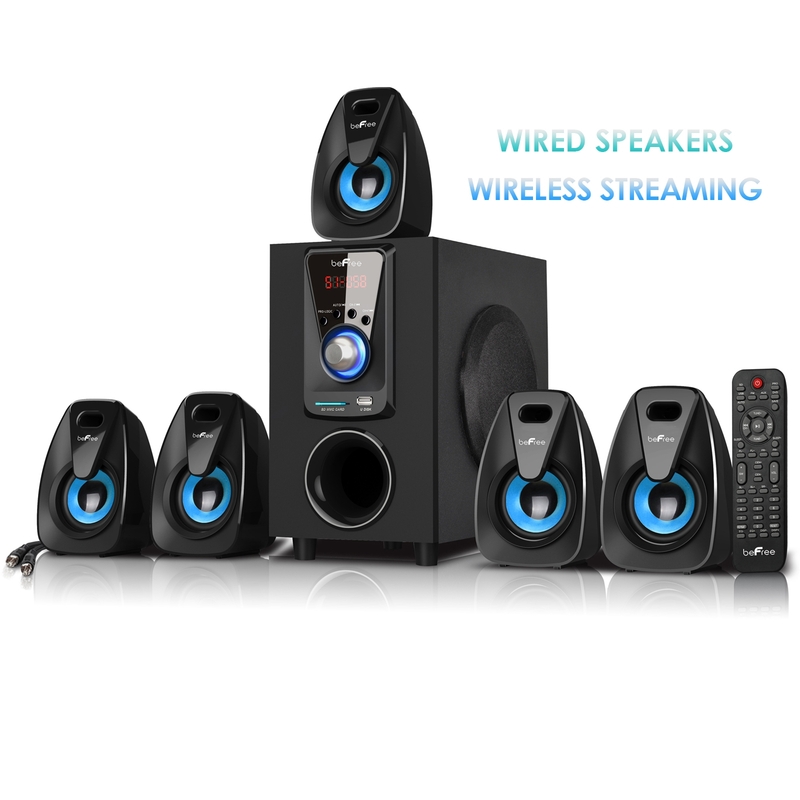 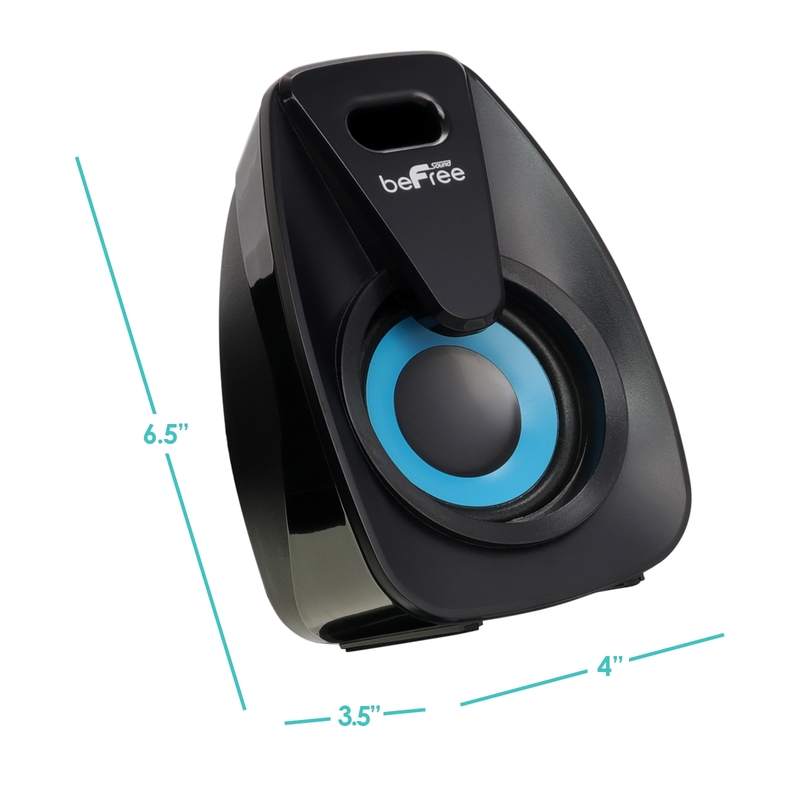 This compact, yet powerful speaker package makes for an excellent addition to any home theater system, personal computer or laptop, gaming system, digital media player, "i" device or any other audio/video device that that can be connected via Bluetooth, USB, or SD interface. 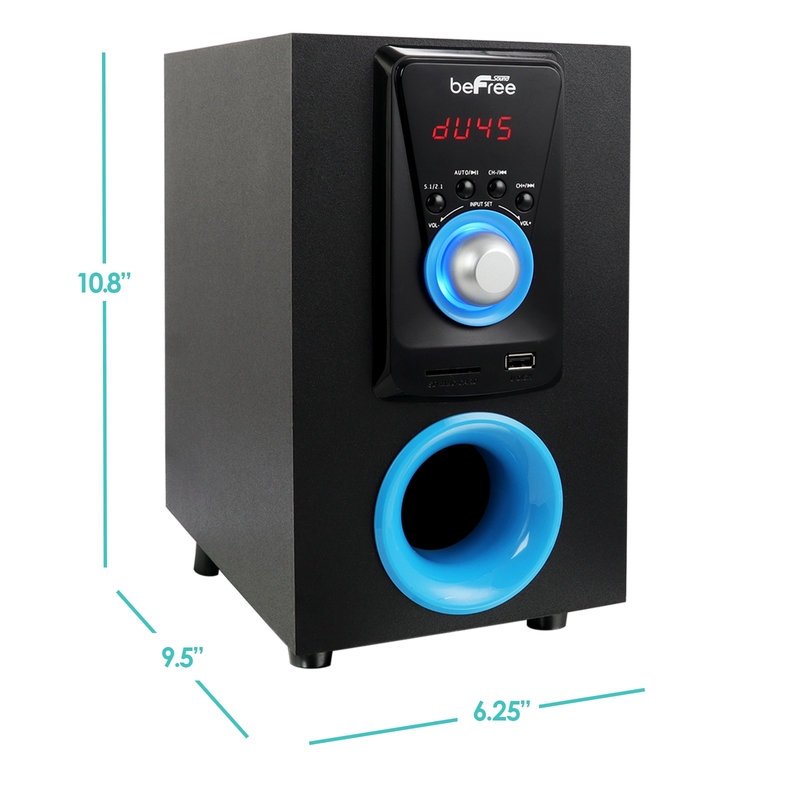 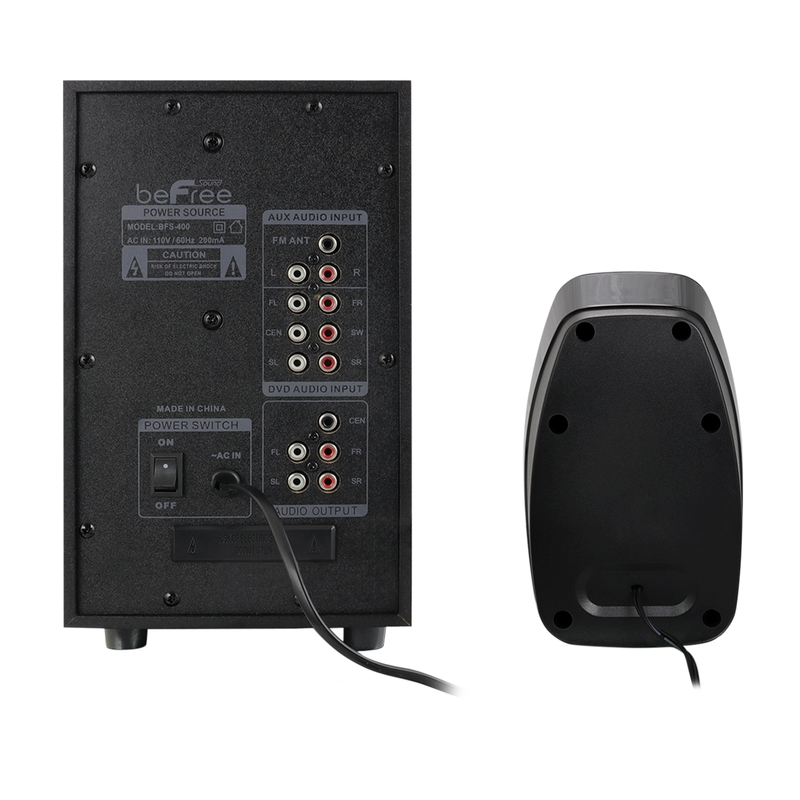 The included powered sub-woofer is housed in a digitally tuned, bass enhancing enclosure made of durable material for increased bass response while the full range satellite speakers feature magnetic shielding for worry-free use near televisions and computer monitors.